The bar lunch hours, Monday to Friday, will be 12-2pm starting Monday 5th March. 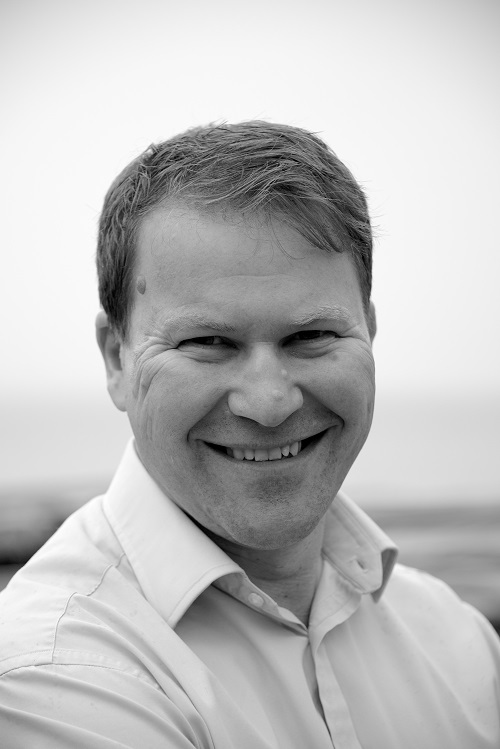 Jerry Smith and his young family joined the Yacht Club in 1973, when they moved to Whitstable. They brought with them a home-built Mirror dinghy, and Jerry was soon made Mirror Class Captain. He was an active member until 1978, when his work in shipping took him to a new career in New York. His children, Anna and Daniel, went on sailing the Mirror dinghy for many years and Jerry continued to visit the Club and the town on his frequent trips back to the UK. Jerry died peacefully in Hudson, New York State, after a long period of illness, surrounded by his extensive family. 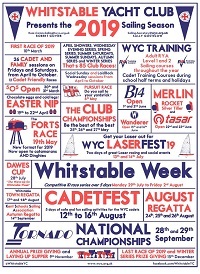 It is with great regret that I must announce the departure of Jeff Emerson, our Club Manager, on Friday 16th February after four years of excellent service to Whitstable Yacht Club. We owe Jeff much gratitude for his constant and committed service, and he will be greatly missed in the Club and the local community. Jeff is moving back to Dorset, to be closer to his family, although we hope he will call in and see us whenever he returns to this area. He is here this week, and next Thursday and Friday, so please take the opportunity to visit the Club or contact him at office@wyc.org.uk to thank him for all he has done, say goodbye and wish him well. Following his departure, the office email, phone and procedures will be monitored and processed by volunteers from the membership and other staff. More details of a longer term plan for Jeff's replacement will be communicated later. 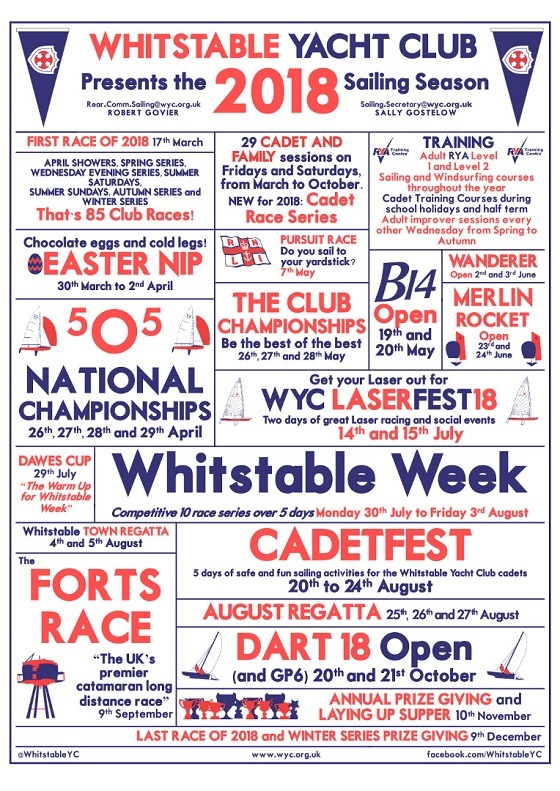 Check out this year's sailing schedule at http://wyc.org.uk/on-the-water/schedule (and take note of your duty!). Annual Prize Giving and Laying Up Supper - Saturday 10th November. 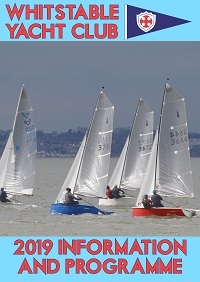 We look forward to seeing you on the water for another great season of sailing! The design and implementation plan for the restoration of the ramp have been finalised, the club now awaits completion of the loan and the release of funds. As the money is not yet available it does mean the planned completion date of early March will not now be achieved. As soon as the club has received the necessary funds we will provide a further update on a planned start and completion date.